I finally made it to Sarasota. I can't believe I've been missing out on this beautiful city. I'm always bypassing it while on my to Tampa or Orlando. I keep telling myself I need to visit, I need to visit. Well... I finally did it. This place is on so many best of lists. Check out the "cluelessness"! Things To See/Do: Oh boy! I didn't know where to start but I got to experience most of what I wanted to see and then some. 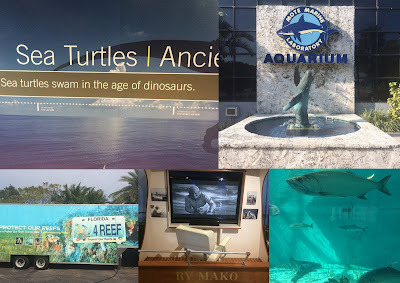 Mote Aquarium is home to hundreds of marine life. It is also a rescue and rehabilitation center. The mission is to rehabilitate marine mammals and sea turtles and return them back to the wild. So whenever you hear about sick and/or injured animals, this is where they go to get better. Myakka State Park is for those who love to be in nature. 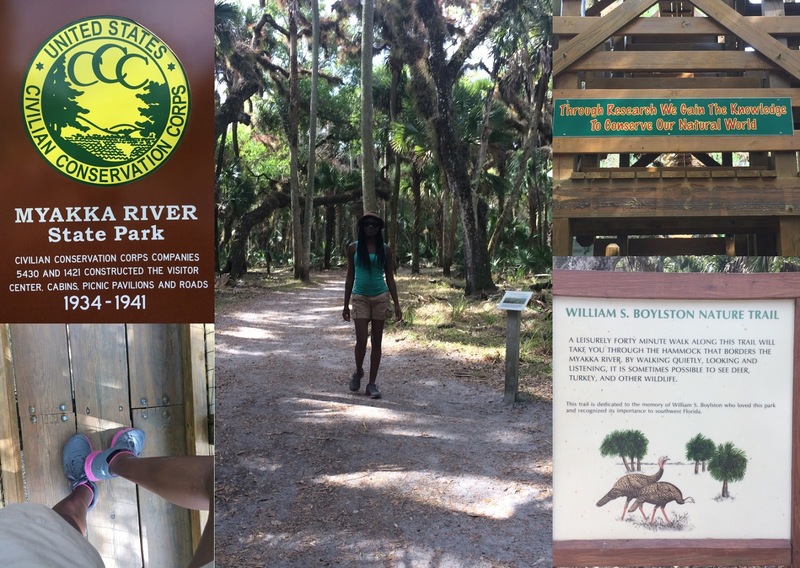 It's one of the largest and most diverse natural parks in Florida. I made sure to stop by. I went on a nature trail and saw a fawn. The fawn ran pass me and it was the most beautiful and peaceful thing to see. There was also tons of alligators around. Umm... they were all right. I'm not trying to make friends with them. Anyways, if you enjoy being outdoors, this is the place for you. Siesta Key Beach is ranked one of the top beaches in America. After sinking my feet in the sand I can see why. 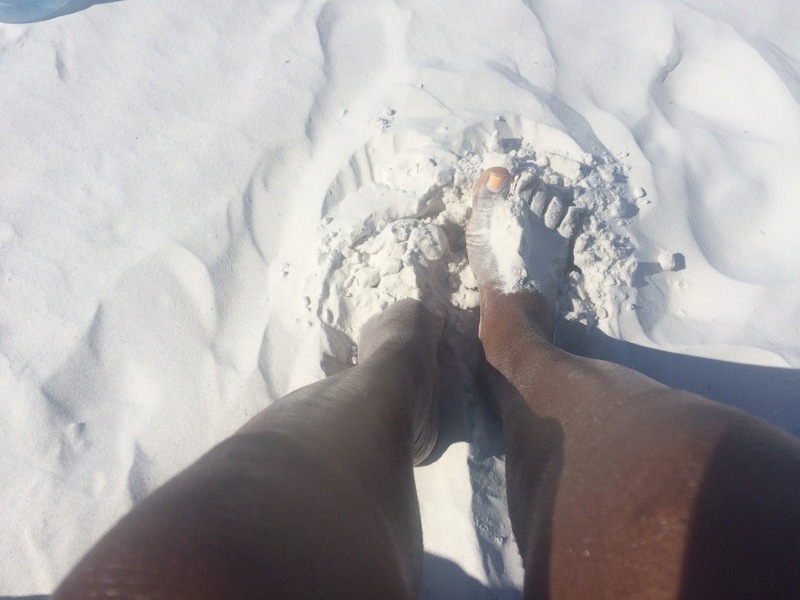 This beach is beautiful with it's powdery soft sand and long list of amenities that makes you never want to leave. If you're a beach bum this is a must. Siesta Key Village is located on the northern part of the beach and is about a 15-20 minute walk. I'm a walker so I didn't mind it. I used that time to do some sightseeing. After spending a few hours at the beach, next stop was the village area. It's a touristy and walker friendly area with lots to do so wear comfortable shoes. Where To Eat: There was no shortage of places to eat. There's just too many to name and I'll have a review of a couple places soon. But for now here's a few. 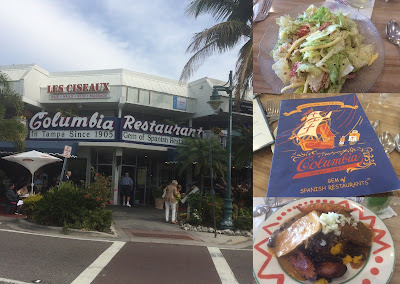 The Columbia Restaurant is the gem of spanish restaurants and one of Florida's oldest restaurants. Their main restaurant opened in 1905 in Tampa (Ybor City). They have 6 other locations and I've been to the one in Tampa before. There was one in St. Armands Circle, so I stopped by. This area is surrounded with restaurants, boutique, and specialty shops. It's also steps away from Lido Beach. CONFESSION: I can't always afford to hop on a plane but I don't let that stop me from traveling. I live in Florida and I try to take every opportunity I can to explore the state. I've mostly traveled the southern and central part of the state. Some of what I get to explore doesn't cost much. It's basically just showing up and enjoying that day's adventure. 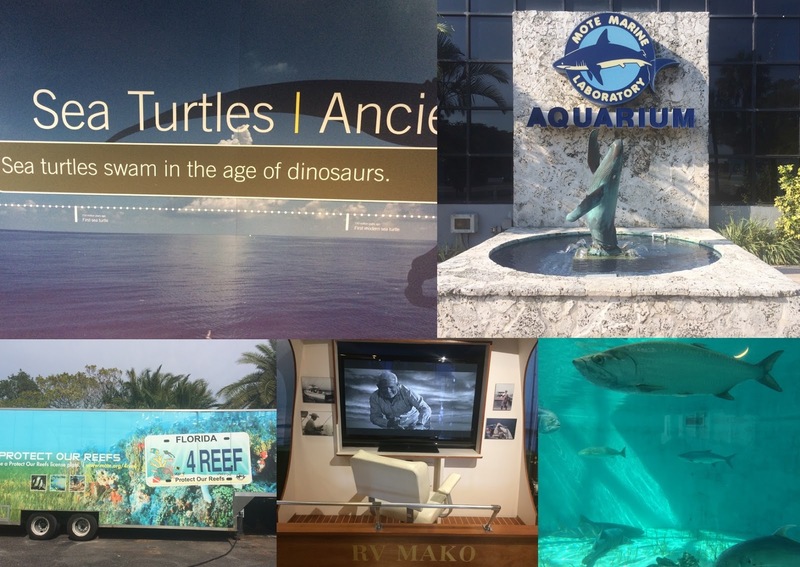 Sarasota has quickly become one of my favorite day trips. 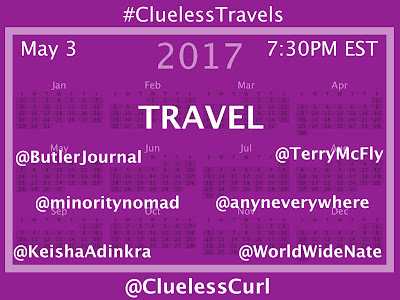 When it comes to traveling, I plan one huge trip (internationally) and smaller trips here and there locally or nationally. I'm still able to have a good time without breaking the bank. If you can't always afford to travel, take a road trip and explore where you live. Trust me, it's not a weird thing to do. 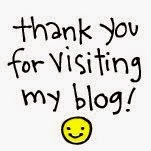 If you have a blog, blog about it. You just might be helping someone who is looking to travel to the area. -Foodies you will love this area. It has a list of award winning restaurants. However, I would honestly stay away from Siesta Key Village. I'm not hating on this area at all but it's just not a foodie's paradise. It's mostly casual dining spots where the menu looks the same and service is not that great. The donut I ate, had more flavor than what I ate at one of the restaurants. Just keeping it real. I'm not looking for sponsorship. -There's a FREE trolley that will take you from the north to the south side of the island. It runs from 8am- midnight. Use it to avoid the traffic and parking. -Stay hydrated! Drink lots and lots of water. You're in hell Florida. Dress comfortably by wearing loose fitting clothes, flip flops, or cute sandals. In other words open toe shoes. Let them toes breathe. -Plan to arrive early if you're going to Siesta Key Beach in order to find parking. This is a very popular area and the parking lot fills up really quickly. If you come during snowbird season.... bless your heart. One time I arrived and I completely forgot it was spring break. Trying to find parking was a nightmare so I left. I planned better the next time by arriving early and I was able to find parking. Let me tell y'all a story about how serious this parking situation is. I almost knocked this girl out. She chased my assed down to walk me to where my car was parked and wanted me to wait until the driver came around so they can take my spot. She went on about how they were driving around for 2 hours. Ummm.... you what now??? I would have just left. Chile.. I got in my car and drove off. I was tired and ret to go. I'm not waiting on your driver. I'm pretty sure she wouldn't do the same if it was me. There was already a line of cars waiting to park. Her and her friends hi-jacked that empty parking space waiting for the driver to come around. I didn't stick around to find out if they were successful or not. I've seen quite a few people do this and it was nothing but drama. 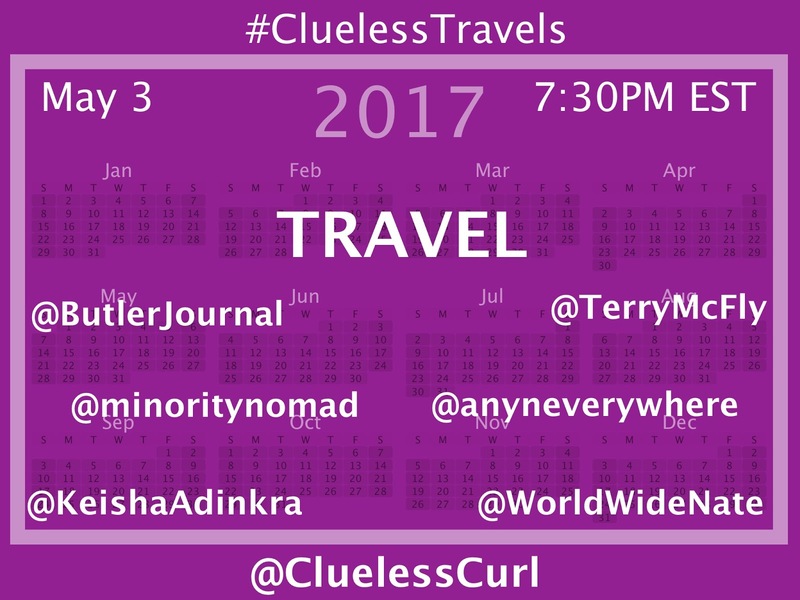 Anyways, go get your passport and join me and my guests for #CluelessTravels chat on May 3 at 7:30PM EST. 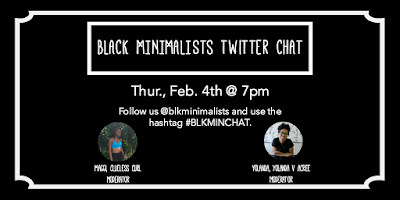 A chat about all things travel related.